The holidays are upon us, and I'm so thankful to have you on my list. 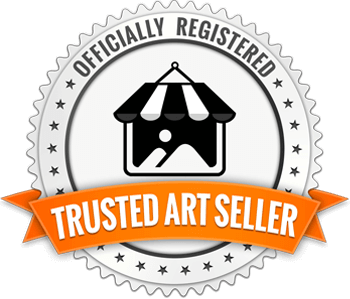 Your support and enthusiasm for my art is a gift to me. I want to return the kindness by sharing some gift ideas for the loved ones in your life and by offering savings this Black Friday weekend. Here are some creative ideas for your friends and family. I wanted to revisit my original bear paw print piece, which I originally made for my Little Works collection, but I wanting to go BIG and with gravitas, so work began with researching images. 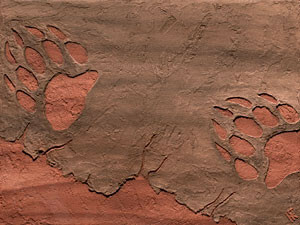 Many cultures have petroglyphs of bear paw prints, but when I was looking at all the images, none of them had . . .
Ideas rarely spring from the tree of inspiration fully formed. Rather, like a sweet summer nectarine, a blossom of inspiration slowly grows and fruits. Then one day . . .
Actually visualize, in real time, what the piece would look like on your wall, in your space, with your decor, in all sizes? About the Art: "Here Kitty"
Mountain lions are the last large predator that's commonly found in the Western United States. There are frequent sightings where I live in the Santa Cruz Mountains, even in my neighborhood. 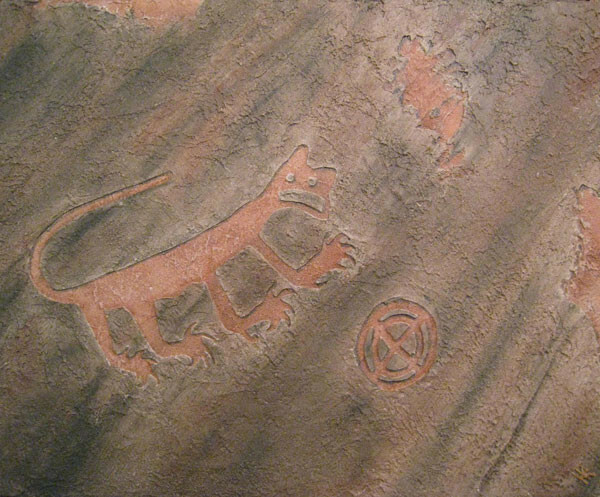 When I saw the Anasazi mountain lion petroglyph, it appealed to me as an inspiration for one of my pieces. I like the idea of . 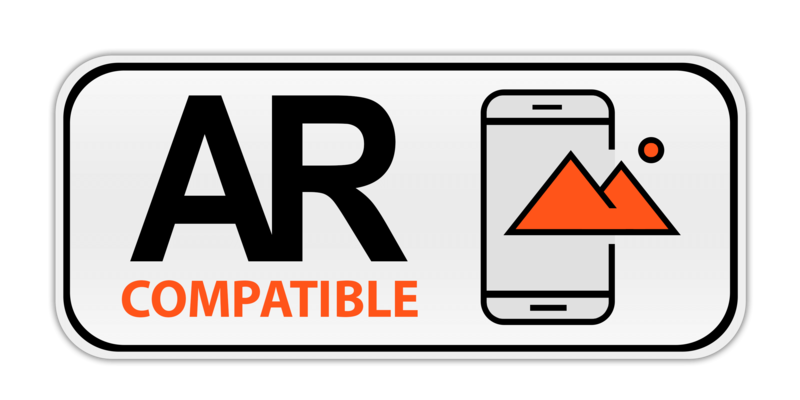 . .
Free Art for Your Phone! I have a fun, new perk to say thank you for supporting me and my art. 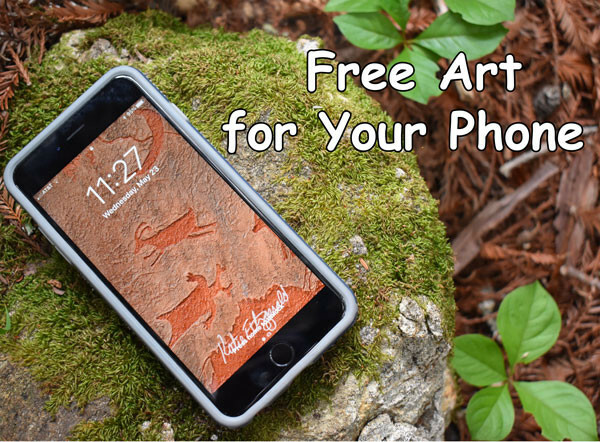 Every month, I'll be sending out free art for your smart phone you can install as a background, the image on your locked screen, or both. About the Art: "Dream Walkers"
Are you the kind of person who thinks reptiles are cool, or do you say “Eeek! “ (quietly to yourself, of course) and go the other way? I recently posted a photo of “Dream Walkers” on Instagram, and someone commented on my interest in lizards, saying his wife would have run away. I had to laugh. . . . This is a quick little update today, but one that I'm excited about! 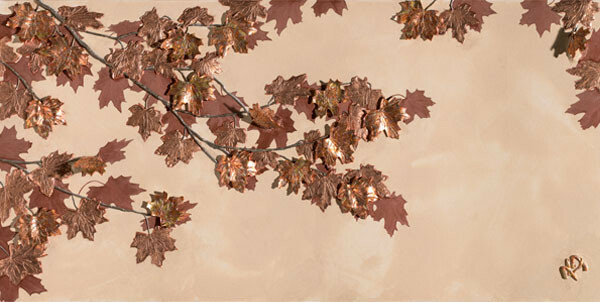 About the Art: "Be Leaf I & II"
What’s worse than forgetting your sweetie on Valentine’s Day? Being late for it by two months. So hear they are. Happy March Valentines Day. Happy Anniversary. Happy Birthday to your sweetie. I’m-sorry-I-was-a-schmuck, or whatever other occasion calls for flowers and some love. A Few of My Favorite [Old] Things . . . The catch of your fingers over spider-web thin cracks on a china teacup. The slight, musty odor of an old book. The delicate yellow patina of age on hand-embroidered linen. If you spend any time on social media, you’ve probably encountered a troll or two. You know – those people who seem to delight in going out of their way to say something rude or pick a fight. I didn’t have much experience with trolls . . . Whether it’s pop or classical music, action or romance movies, or art, most of us enjoy different genres. In addition to the historically based art I create, I also create pieces based on nature. In “Bamboozled II,” I kept the elements that I love – the metallic plaster background and the gilding – but I also wanted to employ new high relief techniques that I’ve learned. How Many Years in the Making? 3.5 or 2,106 Years? How long did it take to make that? This is a question I’m often asked when I’m displaying my work at a gallery or art fair. In my head, I’m wondering how to answer . . .
Grown-Up Art for the Child Within – "Beep Beep I"
I was looking for a new idea for a petroglyph piece one day and cartoons just popped into my head. Art sales online are BOOMING. What are you waiting for? Buying art can be like buying a car. You fall in love with it, pray you can afford it, hope you’re not going to be intimidated by the sales person, and hope you won’t get a lemon. No matter the era, no matter the place we express it, the most important things in the world to people are family and love. . . 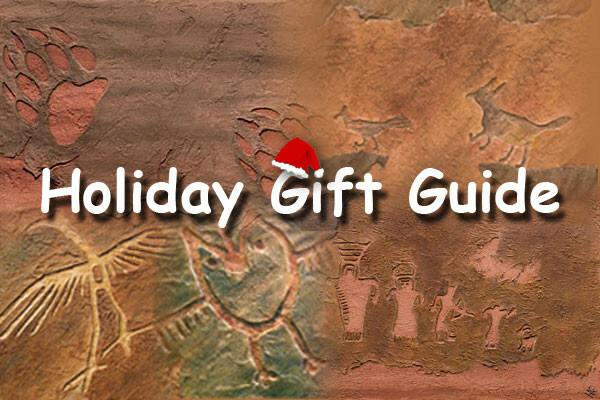 Whether you’re an enthusiast of Southwest art or you feel the pull and connection to the past and ancient cultures, this vibrant, low bas relief will whisk you back to the dusty, arid lands of the US Four Corners region and the inventive Anasazi who lived there. Get 20% off "Leaf Peeping" collection! For people who love the outdoors and the change of seasonal colors, autumn is the crowning season . . . The winners of the Giveways are . . . Thank you to everyone who entered the Art Giveways . . .
Do you remember when "Geek" was insult? I do, but I am one anyway, and honestly, geek is now chic – especially when you live near Silicon Valley. Geek is now . 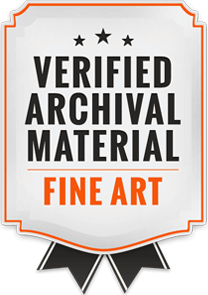 . .
All fine art pieces are created on museum quality canvas or mason board. Foam-core boards are coated with durable concrete or plaster. Any material subject to oxidation or deterioration over time (such as copper leaf) is sealed with an appropriate varnish. 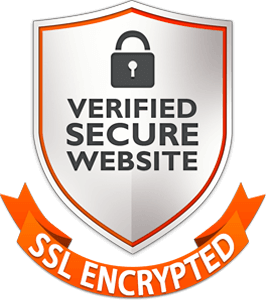 All Certificates of Authentic are printed on acid-free, archival paper and protected in an archival sleeve. Click on this link, enter your email, and I'll send you a 20% OFF Coupon for your first order! 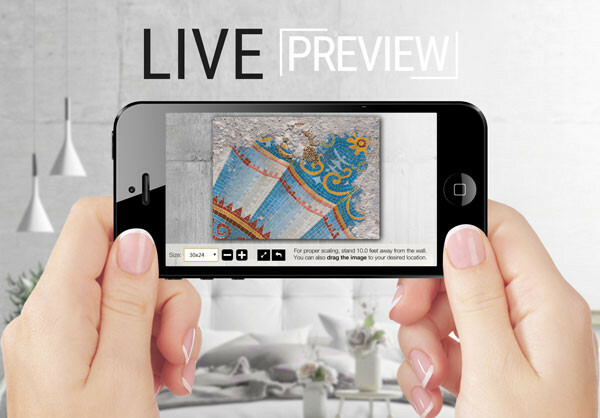 Plus, I'll share with you the latest news about galleries, exhibits, new pieces, and exclusives that I only share with my subscribers. 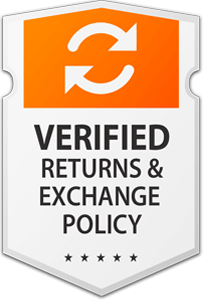 Join the VIP party, Get special offers. Enter your email and I'll send you a coupon for 20% your first purchase! I'll also send you a newsletter once or twice a month.